Professor Nigel Allinson, Distinguished Chair of Image Engineering at the University of Lincoln, will deliver a fascinating talk as part of the pioneering Gravity Fields festival. 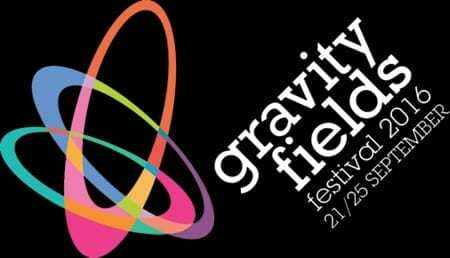 Based in Grantham, Gravity Fields explores the physical sciences through science, arts and heritage events and celebrates the area’s close links with one of the world’s greatest thinkers, Sir Isaac Newton. Professor Allinson – who leads the ground-breaking PRaVDA medical imagining project which aims to make proton therapy a viable treatment for many more cancer sufferers – will invite festival goers to take a fascinating look at imagery throughout history. Images are everywhere with nearly 150,000 images posted on Facebook every minute. Professor Allinson’s talk, Less Than 100 Images, will begin in 10th century Basra in Iraq. He will talk his audience through some local heroes (not just Newton, but also a medieval bishop and a humble engineer), to what the future holds; from seeing around corners to holographic television in a tour de force of entertainment and education. Less Than 100 Images takes place at Woolsthorpe Manor, the birthplace of Sir Isaac Newton, at 1:30pm on Saturday 24th September 2016. Places can be booked online. Inspired by the genius of Sir Isaac Newton, the Gravity Fields festival has special significance in 2016; the 350thanniversary of his ‘Year of Wonders’ – or ‘Annus Mirabilis’ – of huge scientific advances with his work on light, mathematics and gravitational forces. The festival commemorates 1666, the year Newton spent at his Lincolnshire birthplace at Woolsthorpe Manor having fled the plague in Cambridge. A packed programme of science, arts, heritage, music, drama and outdoor events takes the theme of ‘Genius’ to celebrate Newton’s legacy, ranging from the dazzling LED umbrellas of international creative artists Cirque Bijou to the genius engineers of WW2.